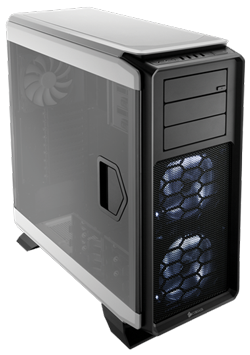 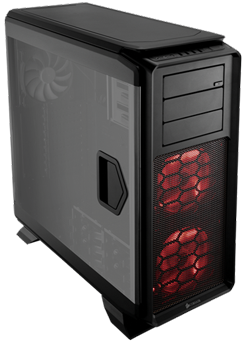 The Graphite Series 760T full-tower PC case starts with a visually stunning design that’s a match for its stunning performance potential, with its sculpted shapes and ingenious, full windowed hinged side panels with flush-mount latches. 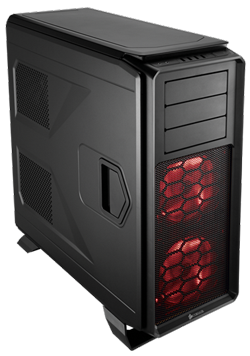 The front panel has two massive 140mm intake fans bathed in soft LED light, and there’s a dual-speed fan selector for performance or silence. 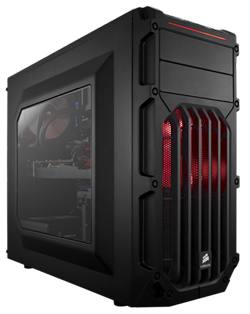 Inside, there’s ample cooling potential, with eight fan mounting locations and room for multiple radiators for self-contained liquid CPU coolers, or even custom liquid cooling. 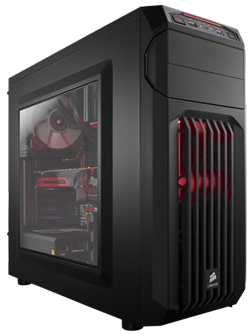 And, clever touches like modular drive cages and laterally mounted SSD bays maximize interior volume to help your high-performance dreams come true.